Pecan Grove Press has released an anthology of poems, a sampling of works published in Valparaiso Poetry Review during its first decade, from the original 1999-2000 volume to the 2009-2010 volume. 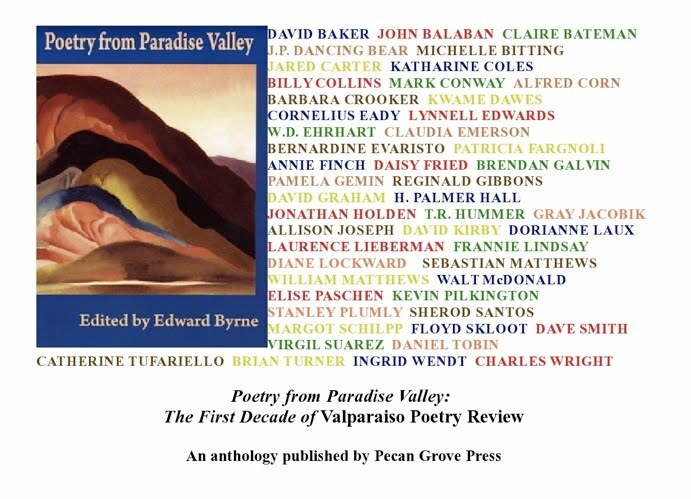 Poetry from Paradise Valley includes a stellar roster of 50 poets. Among the contributors are a former Poet Laureate of the United States, a winner of the Griffin International Prize, two Pulitzer Prize winners, two National Book Award winners, two National Book Critics Circle winners, six finalists for the National Book Award, four finalists for the National Book Critics Circle Award, two finalists for the Pulitzer Prize, and a few dozen recipients of other honors, such as fellowships from the Guggenheim Foundation, the National Endowment for the Arts, etc. Readers are encouraged to visit the Poetry from Paradise Valley page at the publisher's web site, where ordering information about the book can be found. Best Books of Indiana 2011: Finalist. Judges' Citation: "Poetry from Paradise Valley is an excellent anthology that features world-class poetry, including the work of many artists from the Midwest, such as Jared Carter, Annie Finch, David Baker, and Allison Joseph. It’s an eclectic and always interesting collection where poems on similar themes flow into each other. It showcases the highest caliber of U. S. poetry." On this Father’s Day I am once again reminded of various scenes shared with my father that continue as images in my mind and frequently are included among the vivid reflections filling lines of my poems. Indeed, one of my volumes of poetry, Tidal Air, presents a book-length poem in the form of a diptych with each half containing a dozen sections about father-son relationships: the first part, “Whole Notes and Half Tones” (described as “Songs for My Son”), regards my relationship with my son beginning with his birth; the second portion, “Cormorants in Morning Light” (labeled “Memoirs for My Father”), presents some significant moments associated with specific elegiac recollections of my father that have arisen since his death. As a sample from that segment, I offer today “Winter Coast,” the ninth piece of the twelve cantos concerning my father.
. . . . . toward the north, lifting with it what it could. pulse—I’ve come to understand those words.
. . . . . a little less remains of the world we once knew. In addition, since this weekend coincides with the U.S. Open Golf Championship, scheduled every year for the final round to fall on Father’s Day, watching the event once again evokes other more pleasant memories of those many fine times shared with my father on a golf course. Indeed, in a previous post at “One Poet’s Notes”—titled “Golfing with My Father” after a poem by W.D. Ehrhart that appeared in Valparaiso Poetry Review and is reprinted in the article—I have written in prose about assorted impressions of my father that are tied to the sport, and I recommend readers revisit that commentary as well. Tinted Distances by Edward Byrne (Turning Point Books, 2011) ISBN: 978-1936370337. The poems of Edward Byrne’s Tinted Distances strongly inhabit the world, even as they meditate on how that world is perceived in art and memory. "Tinted Distances is the achievement of a wise and discerning poet." "(Tinted Distances) is a wonderful book, one that readers will return to again and again." "Tinted Distances is a tender meditation that reveals a careful eye and steady devotion to elegy and ode." Tinted Distances is now available at Amazon, Barnes & Noble, and Powell's. Dark Refuge, a sequence of poems in an audio chapbook and online text, is now available for free, as well as an mp3 recording, e-book copy, and pdf file of the poetry. A print edition of the book and a cd may also be ordered.
" ... is memorial and social, scenic and intimate ..."
" ... offers abundant evidence of a mind’s alertness to the world of nature and to modern urban reality ..."
"... as mysterious and elusive as the permutations of light and shadow for which Byrne has such a canny eye ... subtly virtuosic displays of rhyme, alliteration, and assonance ..."
"Rich, shaded, and subtle in texture, with second lines often bleeding into the next couplet, these open couplets expand meaning, encouraging the reader to follow." "... there is always light, from the slimmest of glimmers to full moony illumination, and it is that light, seeded throughout, that we will remember, long after we close the pages and turn off the lamp." "The liveliness of any art, Byrne implicitly and convincingly argues, depends on union of emotion and intellect, design and accident." "What makes Byrne's poems memorable is his control of plain language that serves as a guiding light." Seeded Light (Turning Point Books, 2010) is Edward Byrne's sixth collection of poetry. The refined poems of this volume invite the reader into a spacious world . . . Available at Indiebound, Amazon, Barnes & Noble, and Powell's Books. Subscribe to "One Poet's Notes"
Valpopoetry is Valparaiso Poetry Review's Twitter list, which regularly informs readers with brief bits of information and news bulletins containing items concerning poetry or poetics. Visitors with Twitter accounts are encouraged to join Valpopoetry for daily updates. Readers are invited to join the Valparaiso Poetry Review Facebook group for updates on news and publication of latest issues of VPR. This is an open group anyone can join and currently consisting of more than 2100 members. In addition, everyone may participate with commentary on the Facebook page's discussion board about authors and works appearing in all the issues of VPR. IMPORTANT: All members of this group automatically will be informed whenever new issues of Valparaiso Poetry Review are released or other information concerning news about VPR occurs. This replaces the old VPR mailing list for notification of new issues. In addition, readers are encouraged to participate in conversations about VPR contents and to display support for the journal by becoming a fan of Valparaiso Poetry Review. 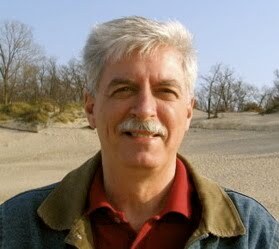 "One Poet's Notes" presents ongoing personal commentary by a poet/editor about contemporary poetry, fiction, and criticism, as well as various other issues relating to the literary arts, and it is intended to complement content in the semiannual publications, Valparaiso Poetry Review and Valparaiso Fiction Review. Collections selected for discussion in this editor's blog include distinguished works published in the last few years by small presses, university presses, or major publishing houses. In addition, readers are reminded to participate in conversations about VPR contents and to display support for the journal by becoming a fan of Valparaiso Poetry Review or of Valparaiso Fiction Review. Valparaiso Poetry Review presents poems, interviews, and essays by new, emerging, or well-known poets, including Sherman Alexie, David Baker, John Balaban, Walter Bargen, Claire Bateman, J.P. Dancing Bear, Jared Carter, Billy Collins, Mark Conway, Peter Cooley, Alfred Corn, Barbara Crooker, Kwame Dawes, Cornelius Eady, Lynnell Edwards, W.D. Ehrhart, Claudia Emerson, Bernardine Evaristo, Patricia Fargnoli, Annie Finch, Daisy Fried, Jeff Friedman, Carol Frost, Brendan Galvin, Reginald Gibbons, David Graham, Jonathan Holden, T.R. Hummer, Colette Inez, Gray Jacobik, Allison Joseph, Adrianne Kalfopoulou, Julia Kasdorf, David Kirby, Dorianne Laux, Laurence Lieberman, Frannie Lindsay, Diane Lockward, Rachel Loden, William Matthews, Walt McDonald, Alicia Ostriker, Elise Paschen, Kevin Pilkington, Stanley Plumly, Rochelle Ratner, Sherod Santos, Margot Schilpp, Vivian Shipley, Beth Simon, Jeffrey Skinner, Floyd Skloot, Dave Smith, Kate Sontag, Barry Spacks, Virgil Suarez, Catherine Tufariello, Brian Turner, Ingrid Wendt, Charles Wright, and many more. 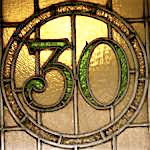 Valparaiso Poetry Review contains other book reviews and essays on various poets, including Maggie Anderson, David Baker, John Balaban, Linda Bierds, Elizabeth Bishop, Marianne Boruch, David Bottoms, Jericho Brown, Jared Carter, Sharon Dolin, Rita Dove, Lynnell Edwards, Claudia Emerson, B.H. Fairchild, Patricia Fargnoli, Beth Ann Fennelly, Ann Fisher-Wirth, Jeff Friedman, Carol Frost, Brendan Galvin, Jorie Graham, Zbigniew Herbert, Brenda Hillman, Janet Holmes, Cathy Park Hong, Donald Justice, Adrianne Kalfopoulou, Ilya Kaminsky, Mary Karr, Ted Kooser, Philip Levine, Larry Levis, Rachel Loden, William Matthews, Campbell McGrath, Susan Mitchell, Gregory Orr, Michael Palmer, Sherod Santos, Vivian Shipley, William Stafford, Mark Strand, Brian Turner, Charles Wright, and others. Pages for these can be located in the archives section of VPR. Hugo, Richard: "Death of the Kapowsin Tavern"
Each week One Poet's Notes will try to highlight work by a poet selected from the issues of Valparaiso Poetry Review. According to the children's rhyme, "Tuesday's child is full of grace." Therefore, graceful poems from VPR's issues will be featured on Tuesdays except when other posts with news or updates preempt the usual appearance of this item. Edward Byrne: "Very Like a Whale"